The Kit has teamed up with Sampler to offer some Free Samples too! 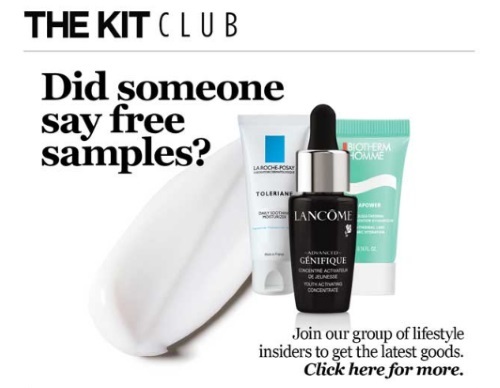 Click on the link below to see if you qualify for any beauty samples! I was offered the Biotherm Men Aquapower Moisturizing Gel and Lancome Advanced Genifique Serum!